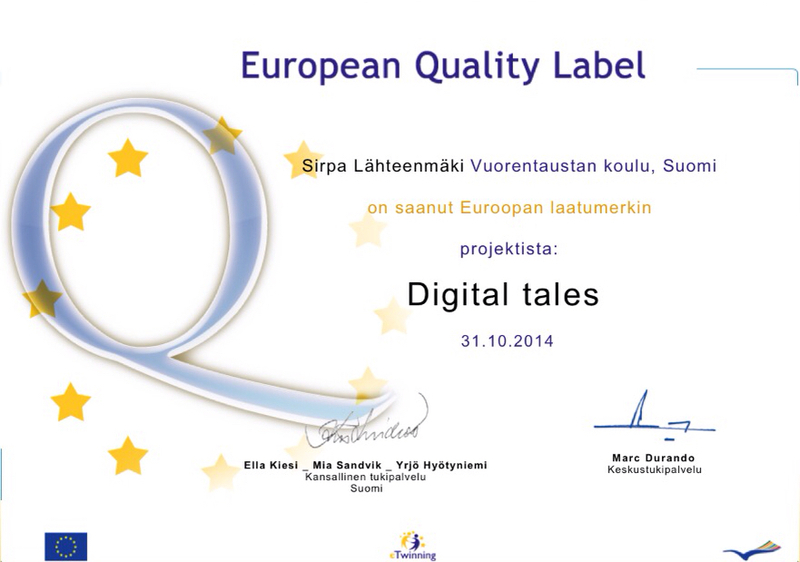 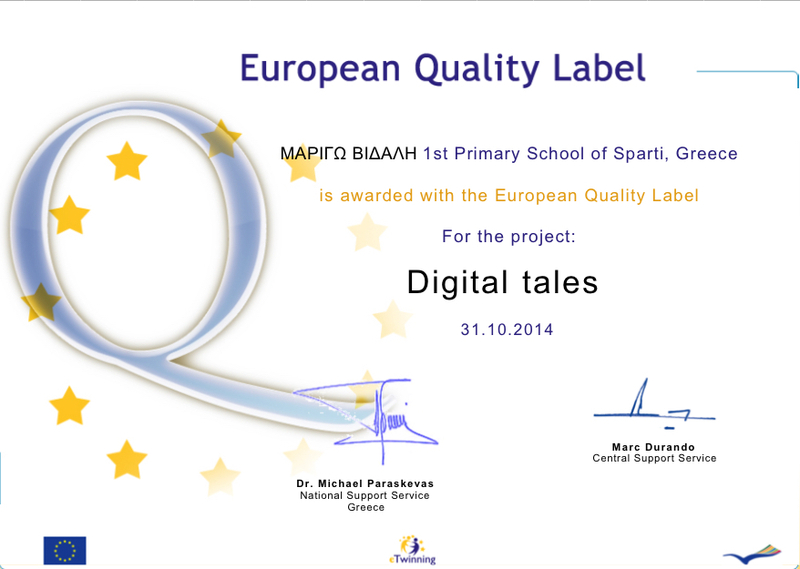 were awarded to our project by the Finnish and Greek eTwinning NSS (National Support Services). 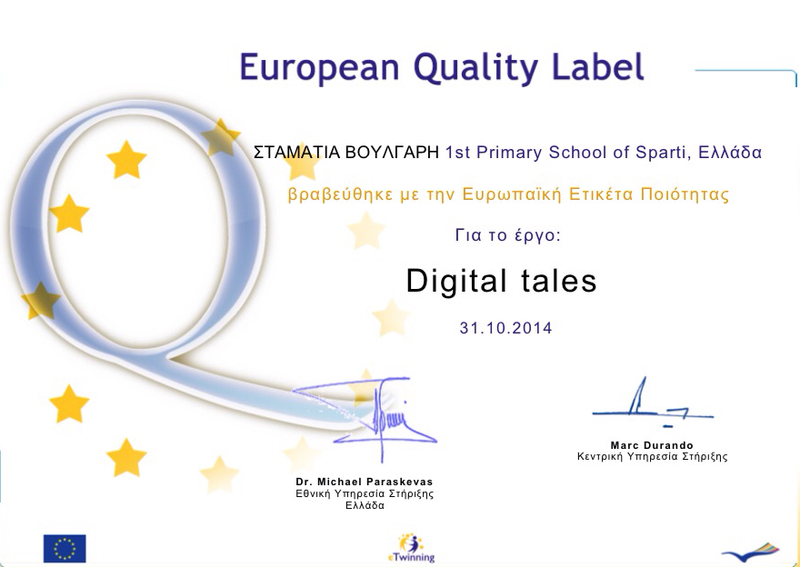 “The Quality Label is concrete recognition to teachers and schools of the high level of their eTwinning activities. 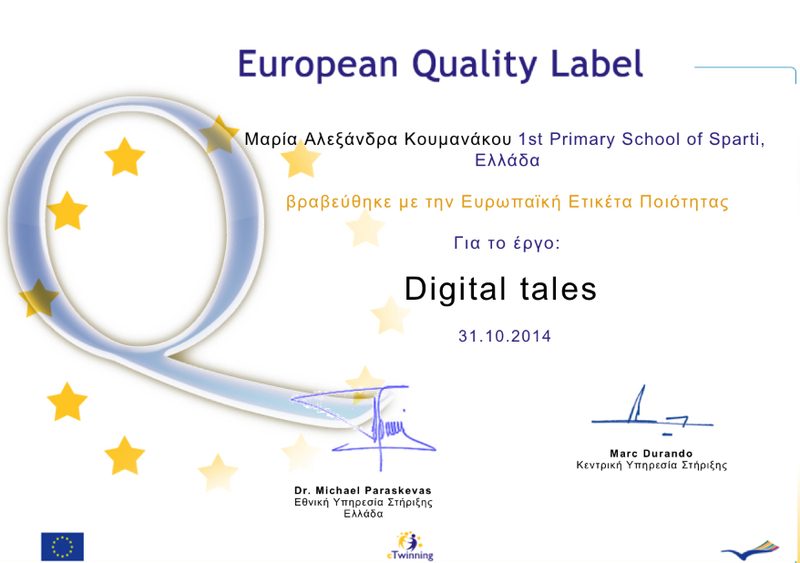 For pupils, this offers a boost to their work efforts, and for the school in general, a public affirmation of their commitment to quality and openness in European collaborative work”.